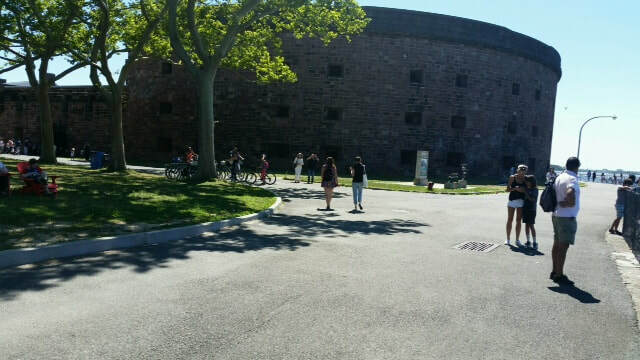 Cris Miller took this wide shot of Castle Williams, a 200-year-old fort on Governors Island, New York. When her husband zoomed in on the photo later, this strange face was noticed. It's not on a level of the fort that's open to the public. 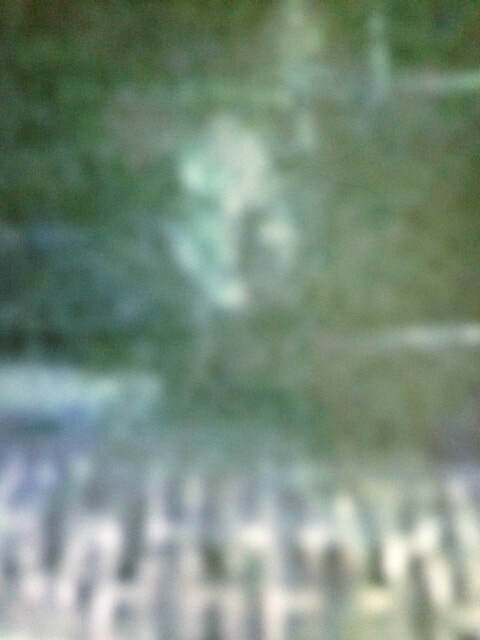 Below is a reduced version of Cris's main photo and her zoomed-in and cropped photos showing the offending window. The photos were taken in 2018, around midday in sunny conditions using a Samsung Galaxy cellphone. Photo: Cris Miller. Reduced from original file. Photo: Cris Miller. Cropped in from original. 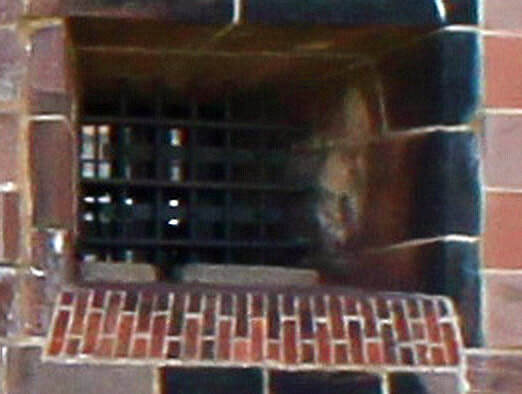 Once we had an email conversation, discussing pareidolia as a possible reason for the apparent ghostly face, Cris did some more research, finding a high resolution photo of Castle Williams online and suggesting I zoom in on the same window (middle row, 5th from left). A reduced version of the high res. photo and my cropped-in version, enlarged and highly sharpened, are below. High res photo sourced by Cris. 200% enlargement, sharpened. Click photo to enlarge. 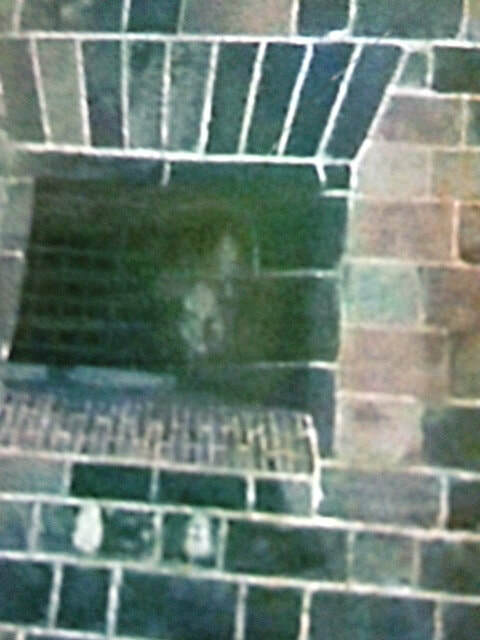 From this, it appears the face may be markings on the stone, which is red sandstone. The 'face' appears a bit farther to the right than in Cris's photo, but the building is seen here from a slightly different angle. But, as it Cris's photo, the face does appear to strangely float in front of the window, rather than being flat on the building. Maybe the face belongs to some inmate from the past. 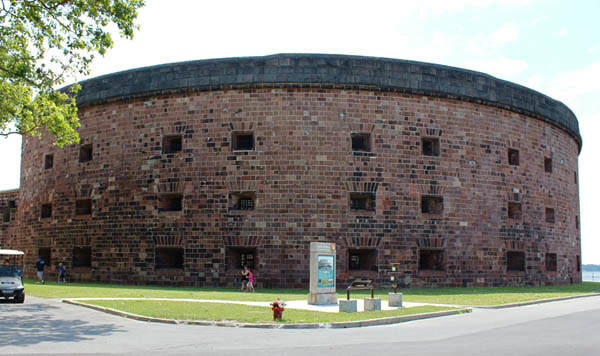 Castle Williams was used as a prison in the American Civil War, and has a rich history beyond that: so who can say for sure? I should like to visit Governors Island some day and see for myself.